At the time, he did not know this and was known to live a very careless life regarding women and substance abuse. Even in baseball Mickey was not always lucky, especially with regard to injury. He suffered many different injuries to his joints, making his career filled with quite a few speed bumps. In his early matches he faced an injury in which the cartilage in his knee was shattered because of a fast paced ball. Towards the end of his career, he was regularly seen with lots of crape bandages draped around his legs so that he would be protected from further injury. In his personal life, Mickey had a father who was extremely overbearing. His father in fact forced him to get married to Merlyn Johnson. Together he and his wife brought up four children, all sons. However, it was found in an autobiography about Mantle that he had had many extra marital affairs. This was because he had not married Johnson out of love, but for the sake of his father. All of Mantle's children grew up to become alcoholics like their father. In fact, the cause of Mickey's death was cancer of the liver, which was due to excessive consumption of alcohol. Mickey did not understand that the mining had affected his family, and therefore expected that he too would die early. Unlike what he predicted, he lived longer than most others in his family and was heard on a number of occasions mentioning that if he had any idea he was going to survive for so long, he would have lived a healthier life. Many critics speculate about how Mantle's baseball career would have been had he not had so many injuries and issues in his life. With a healthier lifestyle and a steadier career, Mickey could have been on his way to being one of the top scorers in the game. Even with such issues, Mantle made his way to the top and has made America proud. 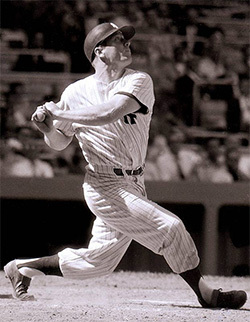 With his 20 consecutive All Star titles through the years from 1952 to 1968, Mickey played an A game for the Yankees. The speculation behind how far he could have gone is not without a proper foundation. 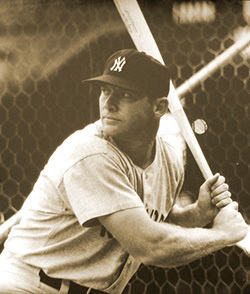 In his career, Mantle won the All Star every single year without fail. Now a part of the hall of fame, Mickey has found himself among the stars of baseball despite the odds.